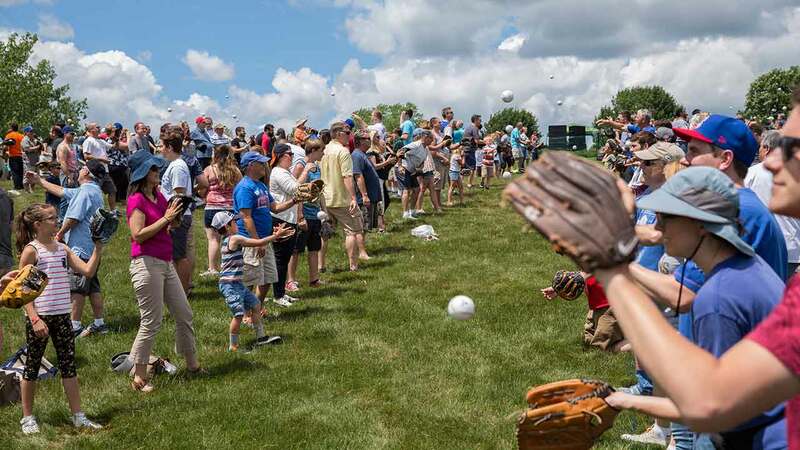 SOUTH BARRINGTON, Ill. (WLS) -- A massive game of catch Sunday broke a Guinness World Record. In north suburban South Barrington, 972 pairs of people tossed a ball back and forth at Willow Creek Community Church. The Father's Day event beat the old record set last summer by Cincinnati Reds fans, which had 529 pairs. The event was part of the church's Dadfest, which they call the largest celebration of dads throughout the Chicago area.